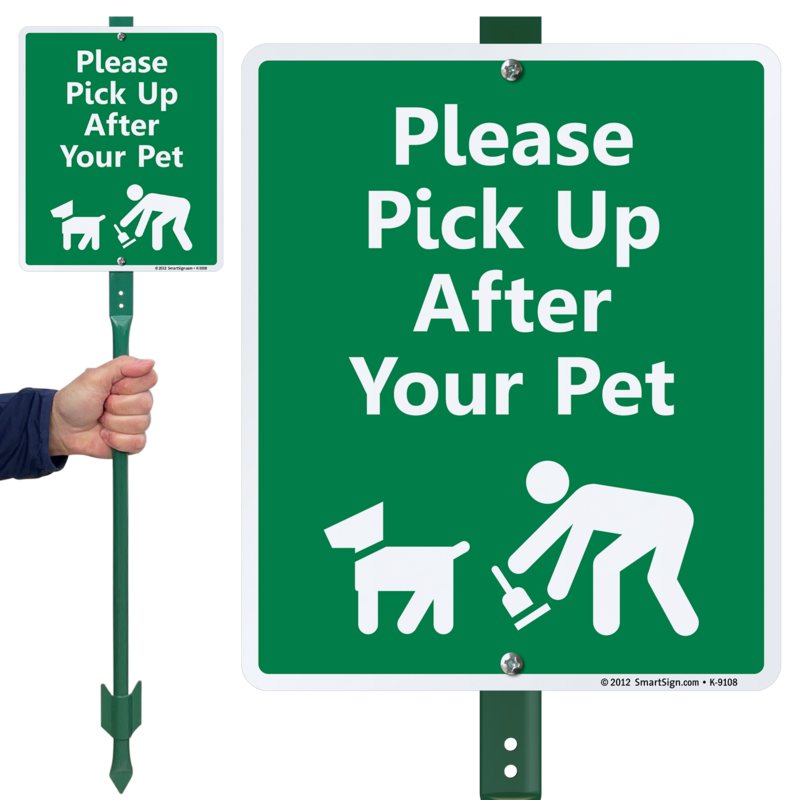 Some owners forget that pets cannot pick up after themselves once they do their business. 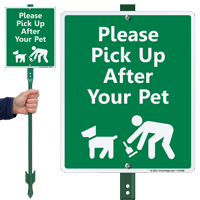 Install our Dog Poop Sign to remind owners to pick up after their pets once their precious ones are done with their business. 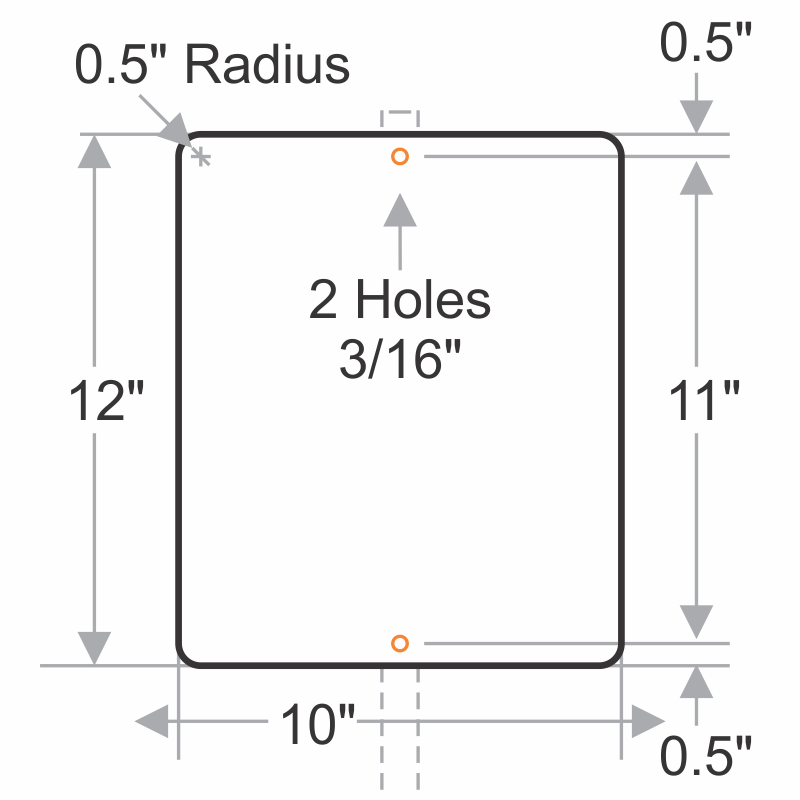 Sign comes preassembled with a 3' tall stake with flang which is hard to bend unlike other cheap plastic stakes that can be tampered with easily. Made using heavy-guage rust free aluminum, the sign lasts long - over 15 years outside! Just the perfect size to tactfully nudge those not-so-polite neighbors while not being obtrusive to the rest. The sign was very sturdy, printing will last a long time. Easy to put together.